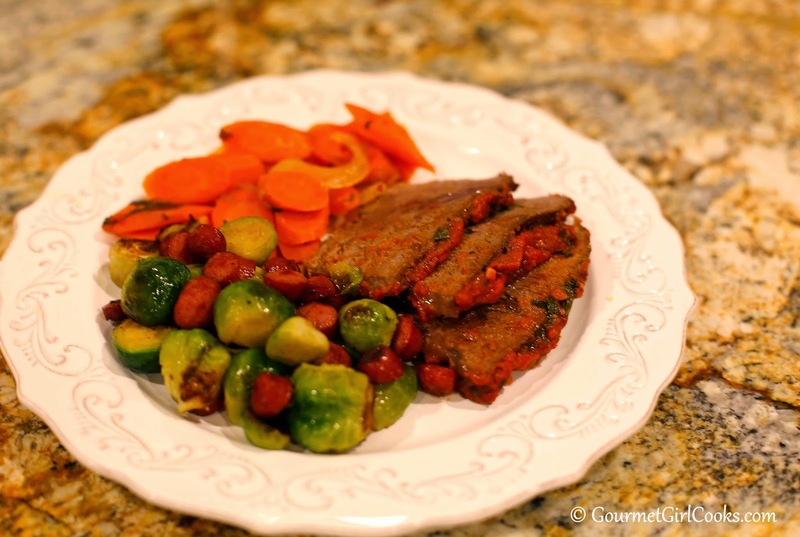 This evening we had the easiest Slow Cooker Pot Roast for dinner. I had intended to place a small 2-pound boneless chuck roast in my crock pot before going to work today...but got in a hurry and forgot to. So, rather than cook it all day long on low, I placed the roast in my crock pot at lunch time and cooked it for about 5 hours on high instead. I sliced a couple of carrots and half of a small onion and placed them in the bottom of my crock pot. I placed the roast on top of the carrots and onions, seasoned with salt and pepper, then topped the roast with about 1 cup of leftover pasta sauce (Del Grosso's Fireworks sauce) that I had leftover in the fridge. I added a bit of torn fresh flat leaf parsley and then covered it cooked on high for about 5 hours until I got home. 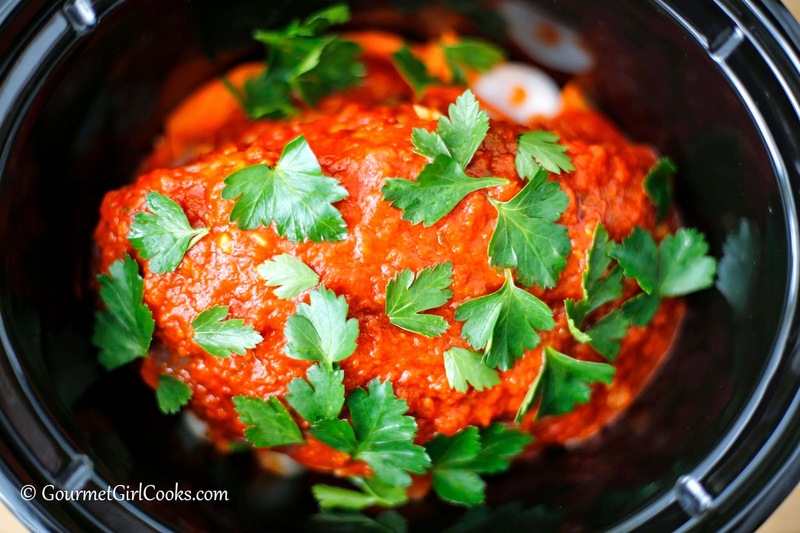 It was cooked to perfection and the pasta sauce kept it very moist. 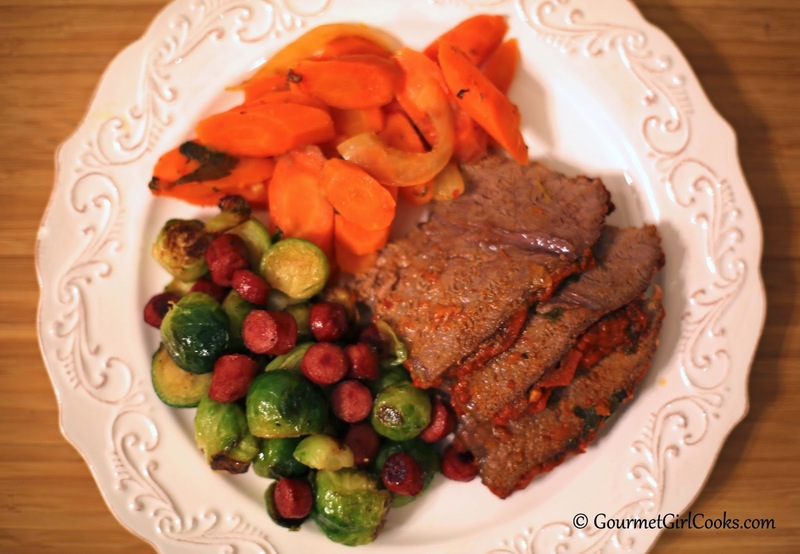 I served the pot roast with the carrots and fresh brussels sprouts that I lightly steamed first, then browned in butter with some sliced hickory smoked mini beef sausages. It was a very simple meal to put together and perfect for this very cold winter night. I snapped a couple photos below. Enjoy! I'm not usually organized enough in the a.m. to start dinner then. Nice to know that starting the roast at noon on "high" works so well! So colorful!!! Looks tasty too.